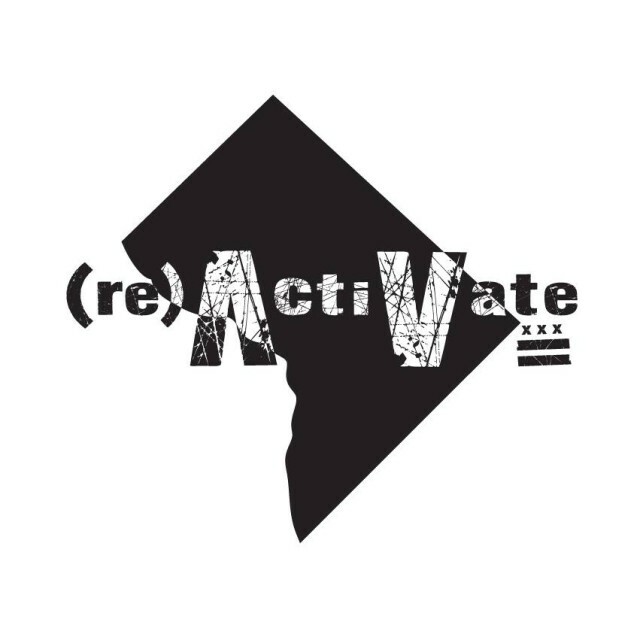 “(re)activate is a one night public art exhibition that will take place in the empty parking lot at 1932 9th Street, NW and the southwest corner of U Street on Saturday, March 15th from 5:30pm – 9:30pm! Featuring video and performance art by emerging and established DC artists, the outdoor exhibition will explore and reflect on the dynamics of space, while introducing alternative modes of exhibiting art and culture in our urban environment! Celebrating the groundbreaking of a new mixed-use art space in the U Street neighborhood, the exhibition will take place on the future site of H-Space, a work-live studio and multidisciplinary project room for artists. In animating the currently vacant lot through video projections and performance art, (re)activate invites audiences to (re)consider the usage of space in the District of Columbia, how it relates to their personal experience, our collective histories, and the future identity of the city.! While the individual works of art investigate our interactions in and relationships to space, at its core, (re)activate contributes to the critical dialogue on creative place-making and how to make more space for art in a rapidly growing city like Washington, DC. Participating Artists include: Animals and Fire, Free Space Collective, James Huckenpahler, Patrick McDonough, Jonathan Monghan, Kendall Nordin, Jassie Rios and Jose Ruiz!